At the headquarters of the Saudi-British Bank (SABB) in Riyadh, an official signing ceremony has been held to inaugurate an agreement with the Accounting and Auditing Organization for Islamic Financial Institutions (AAOIFI) whereby the Arabic and English online versions of AAOIFI’s Shari’ah Standards will be exclusively sponsored by SABB for two years. 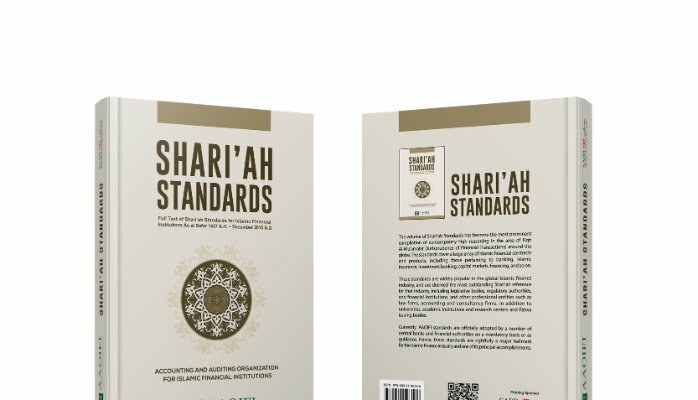 The content of Shari’ah standards so far issued, in both languages, will be accessible and downloadable for personal use through AAOIFI’s website and social media portals. This will include any yet to-be issued, reviewed or updated Shari’ah standards , in both languages, up to 1 January 2020. #AAOIFI will initiate today the process of making these standards available and downloadable in a PDF format (at the following link). Very soon later, these standards will also be available in a variety of digital formats including an e-book format, and via popular online bookstore portals along with several technical features (such as search function) which will be sequentially phased in over the course of the near future. The whole version or a selected number of the standards will be downloadable for a better access and wider usability. On this occasion, HE. Mr. Ali Bin Mashhoor Al Qahtani, Head of Shari’ah Affairs, SABB, stated: “No doubt that AAOIFI’s Shari’ah standards ranks amongst the best compilations of contemporary Fiqh reasoning. They have become the utmost authority in areas of Shari’ah for the broader Islamic finance industry and its banks and institutions around the globe. Therefore, SABB’s Financial Services is keen to provide support to this great feat, as reflected in our sponsorship of the hard copy of the standards almost three years back. Again now, we are pleased to reveal this good news about the digital version for the broader industry, scholars and researchers, and which we hope will carry a substantial, positive impact”. In this regard, H.E Shaikh Ebrahim Bin Khalifa Al Khalifa, Chairman, AAOIFI’s Board of Trustees, extended thanks to SABB’s Financial Services for their great initiative and partnership with AAOIFI. He also added that: “AAOIFI always thrives, and ahead of time, to cater for and live up to the Islamic finance industry’s aspirations and expectations as manifested in the development of its activities and standards. It does its utmost to come up with well drafted standards, both quantitatively and qualitatively, and also to allow a wide access to this outstanding set of standards and to maximize potential benefits and outreach. This landmark agreement, which makes the online version of Shari’ah standards available to the public for download and personal use, embodies all these aspects.